I’m going to combine the last two weeks of “Making it thru Monday” because of the holidays. It’s been a great year to see everyone’s projects! I can’t wait to see all the wonderful creations this upcoming year. 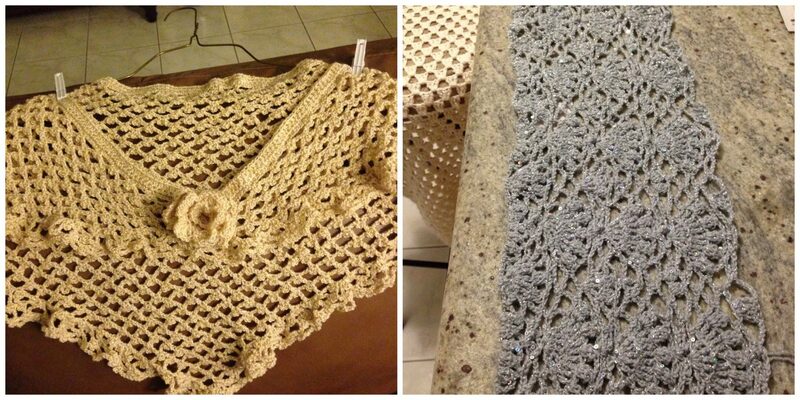 Ananicole made this wonderful shawl for her daughter to attend a party. She designed the shawl herself and it’s definitely worthy of many praises! The color of the scarf is really beautiful as well along with the exquisite design. The next project is by Jennifer from Stew-Art Creations. 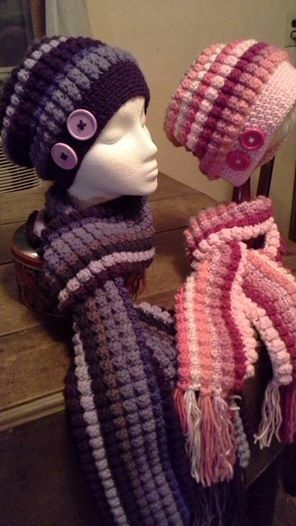 Jennifer has a great eye for matching colors and this project is no different. If you are interested in making one for your own, here’s the link to the pattern. It’s not a free pattern but well worth the cost for a great design. This past week there were three projects submitted, and I’m going to show all of them. These ladies always do a fabulous job and their work is fantastic! 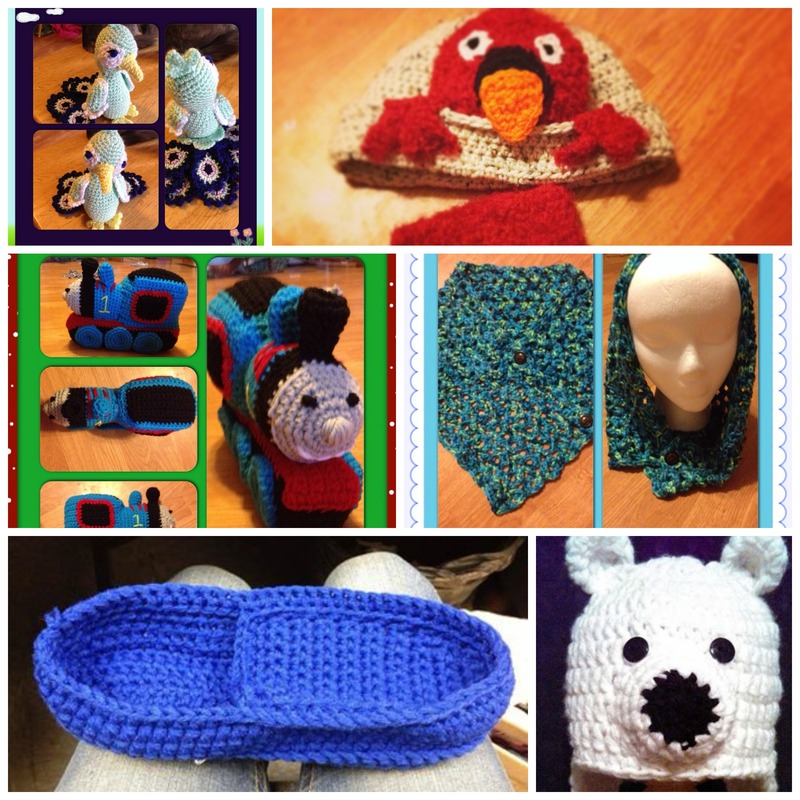 The top 4 pictures are by Elizabeth from Crochet Cuties by Elizabeth, the WIP is by Kristen from “Kreative Studios” and the bear was made by Elena from Beatrice Ryan Designs. Thank you ladies for all your spectacular work! 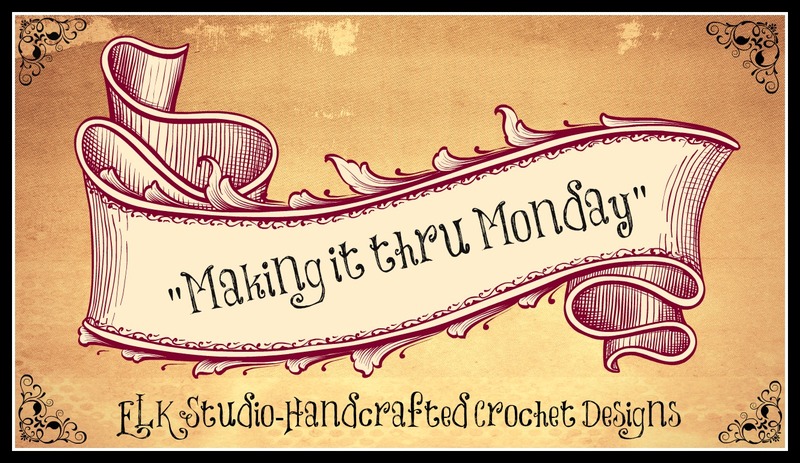 If you would like to submit a project, email me a picture to elkstudiocrochet@gmail.com or you can upload your photo to the ELK Studio Facebook page! Wonderful entries! All so talented!